That scarlet kit is barebones.... isn't the raven kit a similar price? You'll need more media and power, possibly evf? Scarlet is nicer to use, but you'll need to add more kit to that package. It can do 60fps in 2k crop. 4k tops out at 30fps. The One package is very complete, can do higher speeds (120fps 2K crop) but is obviously even older and bigger. Both are sill very much relevant. The image still knocks seven shades out of most consumer gear, we're talking 4k raw here. But of course they're big and bulky and not very friendly to the wallet once you start adding bits. you'll have to make the call. I went Scarlet despite the lack of high speed, just because it's smaller and easier to use. A handheld setup in a cage can vary from 5-7kg though so know what you're getting in to! Good luck! Not true. Thats like saying that if someone lent you a 10 year old Arri, you won't try it out cause you have a Gh4. Some people can afford a Mercedes, so go for a Mercedes... don't be discouraged cause your friend who can only afford a Toyota is telling you to buy a Toyota. Yes. both cars get you from point A to point B. Also, most people are bogged down because they are unhappy with the current gear that they are shooting with... get top of the line, shoot everything that you want to shoot.... make it meaningful... instead of wasting time looking at gear and comparing gear... its a waste of money if you are going to buy it and put it in your closet to collect dust. Time waste & money waste. Ursa would be a no-go for me, given its high frequency of negative reviews from users. So it'll have to be Red. But if it were really up to me, I'd wait a month for the Kinefinity Terra. 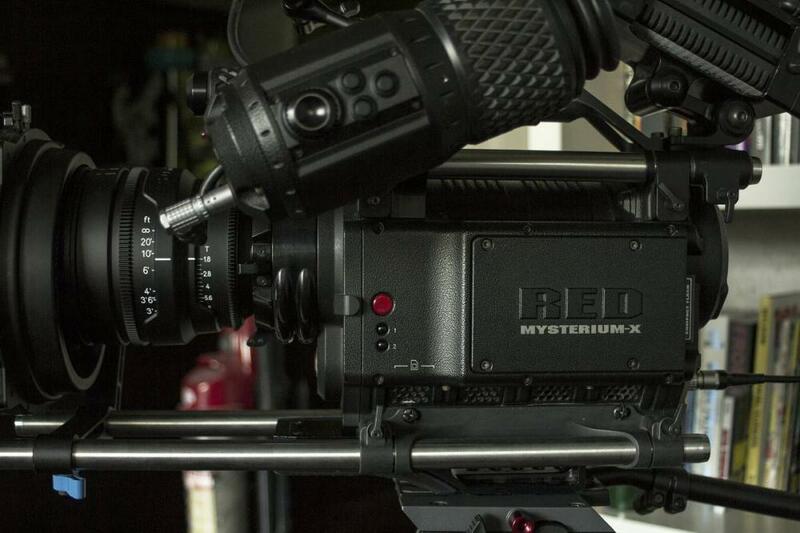 Hell Yeah wait for the Kinefinity Terra 5K! Well it's not just supposed to be... It is the same sensor! Well, considering an Arri from 10 years ago would be a D20 - there would actually be a lot of benefits to using the GH4, depending on what you're shooting. The D20 has a nice sensor and can give you a nice image, sure - but the mucking around to get that into some sort of workable format and workable image is ridiculous. The camera has been discontinued, and even its successor has been discontinued. How easy will it be to find parts if something goes wrong? You should only ever consider buying a camera if you can be confident you'll be able to make a return on it within 18 months. The technology moves so quickly these days that a 7 year old camera becomes irrelevant very quickly. Not to mention, the RED One is already 8 years old. To expect it to continue to hold up in another 7 years is naivety. 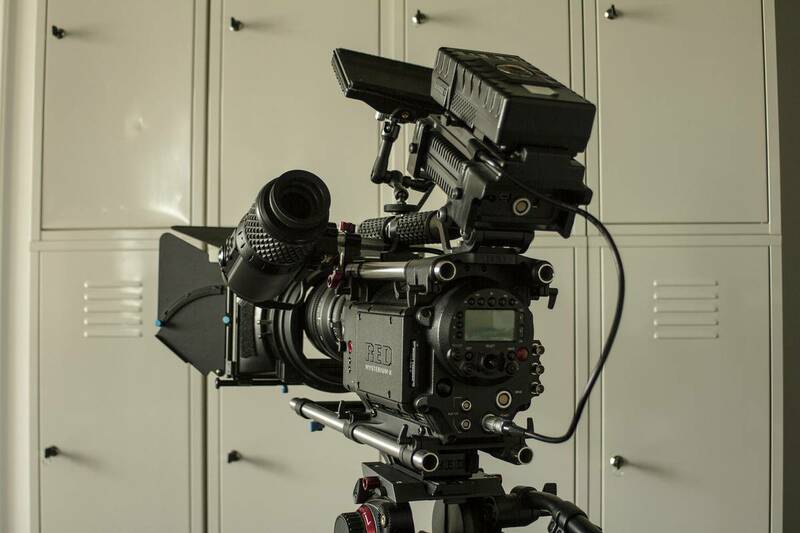 Would you call the Sony F900 still relevant? Unless you've just got money to blow (in which case just buy something, why are you asking), you should be pretty certain you can pay it off within 18 months. If you need a camera that's going to attempt to stay relevant for the next 7 years, you're going to need to buy a relatively new, relatively expensive camera now, and even then you'll likely be disappointed if you really can only pay the camera off over 7 years. On the question of RED One vs RED Scaret - the Scarlet is by far a better camera. But the ROne kit is pick up and shoot, whereas the Scarlet one you're going to need all sorts of other things. If I were you, I might think about something like an FS5 - gives you pretty good quality, soon to give you raw, can have a PL mount put on it, is 4k, pretty new, etc etc. Plus you can put cheap lenses and expensive lenses on it.. I think overall you'd probably be happier. The FS700 has been able to stay somewhat relevant thanks to its raw recording (though it is still only four years old). Otherwise, maybe a second hand F5. You'll probably only get the body, but that's essentially what you're getting with the Scarlet anyway. It doesn't necessarily have the name recognition of RED, but realistically you're not going to book jobs based on the fact that you own an 8 year old camera. Maybe if you can find the money to upgrade the Scarlet to a Dragon sensor..
Man, the Red One has made some pretty footage - but I wouldn't spend much more than for a high-end DSLR setup for one - that's just me, but if at some point it needs some repair and there's no parts or service, you're stuck. And that windowed sensor is crazy limiting in many scenarios. The "investing in a camera" is a personal thing too. I bought a Panasonic Ac-130 like 6 or 7 years ago (roght when it came out) for an overseas gig. It paid for itself in one weekend. I still use the damn thing when a client says "can you shoot this big event/party/whatever" (I just don't say no to a good client, and hey, my day rate to go shoot a company picnic or ribbon cutting? yeah.). And every time, I think "I forgot how kinda badass this thing is". You get every shot, no dicking around. For a small-chip camera, the footage just looks pretty as hell. Who'd-a-thought that after all these years and 4K and full-frame and 1.8 glass and so on? So yes, it was an insanely good "investment" for $4k or so. But for the cash you intend to spend - if you just can't rent - I'd stay as modern as possible. 4K is great - for some things. After buying 8 terrabytes of drives and still running out of space, I only use 4K for interviews or reframing and for effects work. But I wouldn't give it up, it's kinda life-changing. I'd keep that on your list. But do you need raw and gobs of DR right now? Are you shooting a lot of well-paying gigs or can you wait a year and get by with something and see what comes to market without a big compromise? If you have time, I'd see how the Ursa mini matures - BM is notorious for firmware making the stuff useable. On paper the thing looks awesome, and it may mature into something great. (And have you seen the NX1 vs ursa mini comparisons? Gulp…) There's no perfect system out there. M Carter makes a good point there: I got one for a film project, as in feature, as it's cheaper than hiring when you include all the testing etc. 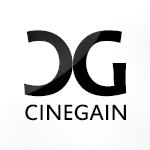 So do consider why you want a cinema cam. They are brilliant images and the fact that you can now own them is quite amazing. They are also rather temperamental things that were designed to be used in a professional environment where they can be serviced and so on. Be sure to think it all thorugh! Scarlet is less likely to go wrong IMHO, but you will need more stuff. At least a v-lovk or goldmount battery plate and batteries, as redvolts won't last, and some more media, which are very very expensive. One should remember though: only Red have Redcode, and that's still the best for 4K footage. MANAGABLE FILE SIZE RAW MAYHEM! I've used the Ursa mini and I was not impressed. I like the Red One image more than the Scarlet. The Scarlet package will definitely need more storage. Kinefinity makes some rockin cams.The Terra 5k sounds pretty darn great in concept and specs if you're willing to wait and see. Could be worth the wait! I'm going to shamelessly/shamefully self-promote now. Buuuuut if you don't want to wait, my KineMAX 6K is for sale. It rocks. I don't know if 6K raw and 100 fps @4K raw will be good enough in 7 years because who knows, maybe we'll just plug our brains into computers for infiniteK resolution and time-shifting abilities for infiniteFPS slowmo. Wouldn't people just buy the Terra 6 or 5K for less and get some add-ons themselves? I think that should come out around that price or even less for something new or what am I missing here? Compressed .krw raw is not uncompressed raw. I don't have a Terra 6k for sale. If you tally up all the things I am including using the ole innnnnernet I think you will find that number to be more than what I am asking for my virtually brand new wares. And you know, I never said I wasn't open to hearing out an offer.